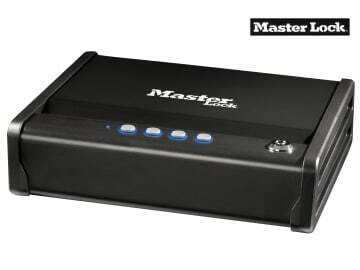 The Master Lock Small Quick Access Compact Safe is ideal for protecting small but precious valuables and electronics. 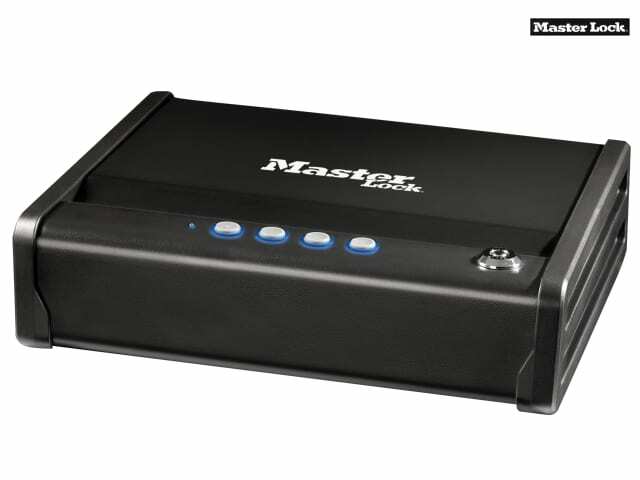 It has a resettable digital combination and is supplied with 2 override keys. The quiet entry with compression gas strut gives quick access to its contents. The interior tray provides added organisation for valuables. 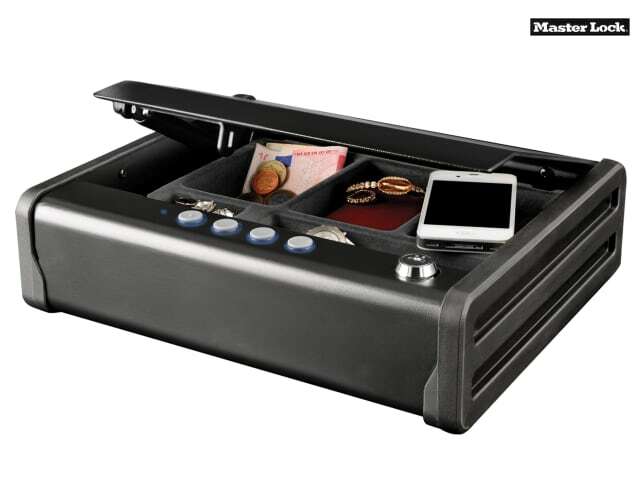 For added security, the safe has a solid steel construction and comes complete with bolt down hardware. It is ideal for storing passports, cheque books, small electronics, money and jewellery. Requires 4 x AA alkaline batteries (not included). Internal Dimensions: 56 x 246 x 170mm. External Dimensions: 81 x 307 x 251mm.